5. Broca, P., Remarks on the Seat of the Faculty of Articulate Language, Followed by an Observation of Aphemia. 6.Wernicke, C., Recent Works on Aphasia. 7. Petersen, S. E., and Fiez, J. A., The Processing of Single Words Studied with Positron Emission Tomography. 8. Bates, E., Modularity, domain specificity and the development of language. Questions for further study and reflection concerning language. 10. Hubel, D. H. and Wiesel, T. N., Brain Mechanisms of Vision. 11. Mishkin, M., Ungerleider, L. G., and Macko, K. A. Object Vision and Spatial Vision: Two Cortical Pathways. 12. van Essen, D. C. and Gallant, J. L. Neural mechanisms of Form and Motion Processing in the Primate Visual System. 14. Crick, F. and Koch, C. Consciousness and Neuroscience. 15. Prinz, J. A Neurofunctional Theory of Visual Consciousness. 17. 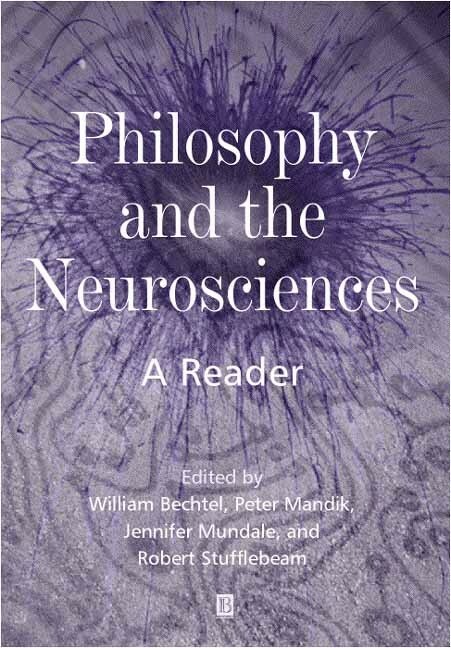 Mandik, P. The Neurobiology and Philosophy of Subjectivity. 18. Bechtel, W. Representations: From Neural systems to Cognitive Systems. 19. Grush, R. The Architecture of Representation. 20. Akins, K. (1996): Of Sensory Systems and the 'Aboutness' of Mental States. 21. Stufflebeam, R. Brain Matters: A case Against Representations in the Brain. 22. Churchland, P. M. and Churchland, P. S., Intertheoretic Reduction: A Neuroscientist’s Field Guide. 23. McCauley, R., Explanatory Pluralism and the Co-evolution of Theories of Science. 24. Churchland, P. M. and Churchland, P. S., McCauley's Demand for a Co-level Competitor.